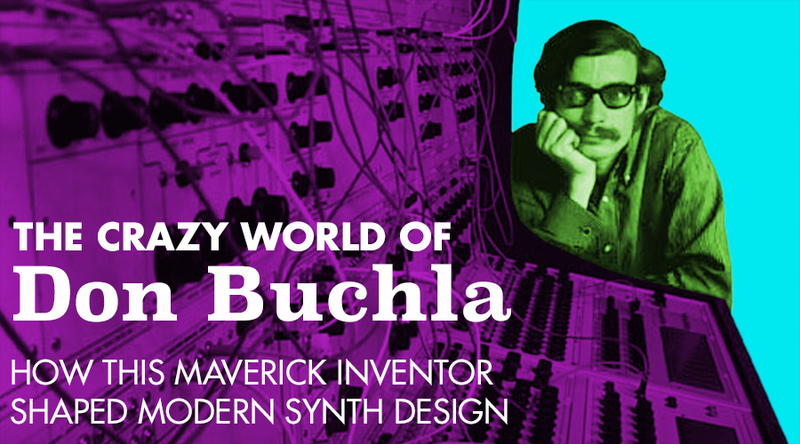 Don Buchla was one of the world’s most pioneering circuit designers in the field of synthesis, a man who was praised consistently for thinking outside of the box, bending the concepts of what a synthesizer should and could be. Creating some of the most intricately designed and musically inspiring machines that even to this day are making a HUGE impact on how people think about and approach synths and sound design. I personally think that without his input during the early formative years of electronic music, we would have a very different landscape to the rich, diverse and experimental group of musicians and manufacturers we have making synths and creating sounds today. Don’s experimental musical endeavours started back in his 20’s where he became interested in the growing music concrete scene, where physical tapes and their recorded content are spliced, manipulated and played back in odd and interesting way to create new sound and forms of experimental music. This earlier form of sample based composition and sound design coupled with Don’s traditional music studies set him in good stance to develop new and somewhat unusual ideas. 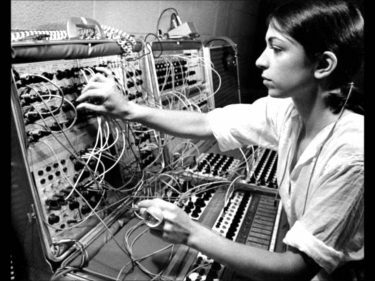 In 1963 Don was commissioned to build a new type of electronic musical instrument designed for performance applications, this commission was at the request at none other than Morton Subotnik (known for his great album Silver Apples of the Moon) and Ramon Sender, both of the San Francisco Tape Music Centre. 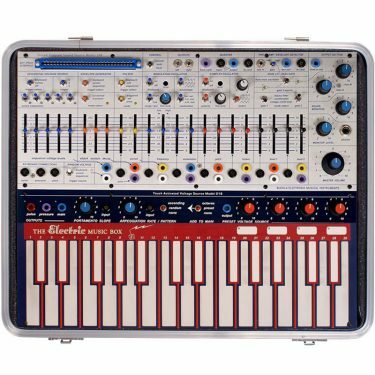 After raising funds from various sources, the development of the first Buchla Modular System began. 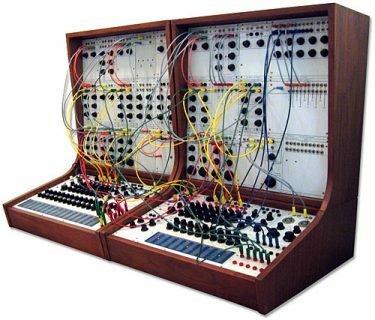 The system was completed in 1965 and was dubbed as the Buchla Modular Electronic Music System. Eventually the system was moved to Mills College in 1966 where it still resides to this day. In the same year Don began to sell these systems, which would later be commercially known as the System 100. Even in these earlier designs Don’s unique insight into audio circuitry and human interaction with and instrument are very apparent, with a variety of alternative controllers like the TCVS-12 made available right from the beginning of the formats inception. These controllers, even in the early days of electronic music, challenged it’s users to think of new ways to control this brand new medium of music making. Dons vision to create new mediums in which to control electronics was always a passion project for him, even later in he’s career, Don was still developing groundbreaking concepts like the Lightning and Thunder, which in themselves later led to the 223e and the Kinesthenic input system to be developed, Don even designed an electric marimba….which current Buchla in house developer Joel Davel has a rich history with. Don’s initial range of Series 100 modular comprised of 30+ modules, of all unique design and function, some of Don’s key circuits were realized in these earlier modules and most of which still exist, either in their complete form like the 292e low pass gate and 259e dual VCO, or in part like the microphone preamp in the 206e which was originally its own module called the 170. Don eventually moved to on to create a wide array of different modular formats, synths (he designed for our friend Mr Tom Oberheim at one point), including the highly revered 200 series, that series that still stands the test of time and is even available today under the 200e series moniker, and most notably developed my favourite synth of all time, the Music Easel, which in itself is one of the most comprehensive and interesting instruments ever designed. So Don’s earliest work was incredibly significant in many different ways. On the East Coast Dr Bob Moog was working primarily with performers whereas Don was working more with experimental composers, these two vastly different client bases and demographics meant that their designs followed a very different path and had vast different goals and influences. Bob Moog’s modular designs followed the east-coast subtractive rule sets, where an oscillator tone is filtered and the harmonic content is subtracted, and then amplified by a VCA, this form of synthesis relies heavily on interaction with the filter cutoff. These types of patches would be played using a compliment B sequencer or a 953 keyboard for example, allowing the user to have very predictable and repeatable control over their patch. Don’s concepts followed what is now know as the west coast additive synthesis concept, where the starting position is a simple tone, such as a sine wave, which is heavily modified using frequency modulation with one VCO modifying another and passed through a low pass gate, which is a combination circuit of a low pass filter and a VCA in series, which produces more organic decay and harmonic response than your standard filtering processes. These patches we’re normally controlled by a series of complex gates & functions to form a more generative and abstract form of patch, with less repetition and more experimental results. Let’s not argue who did what first, let’s just agree that they we owe them a great deal of gratitude for what followed their innovations. 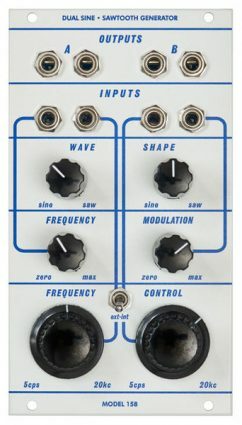 Both Bob and Don’s concepts of synthesis have played a very important role in some of the unique designs that we see today, but I think that Don’s more experimental mindset that has allowed for some of the weird and wonderful machines to come to fruition over the last decade. Verbos Electronics for example create a variety of aesthetically and sonically inspired Buchla style Eurorack modules, whilst the designs are different to Don’s they do however tip their hat to his great work. Mark Verbos actually started work building Buchla format modules, a few examples include the 258v and even he's current harmonic oscillator was also originally made for 4U as the 242v. 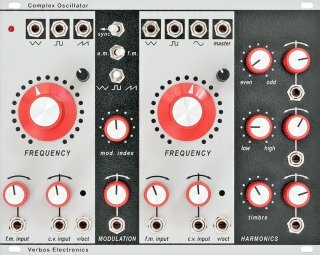 Mutable instruments, whilst Olivier might disagree with me! I firmly believe that there’s some subtle nods to Don’s work in what he creates. Ripples for example, whilst it might be more of a Roland inspired filter, it does feature an on-board VCA which can be modulated at the same rate as the filter cut off to create low pass gate style sounds. 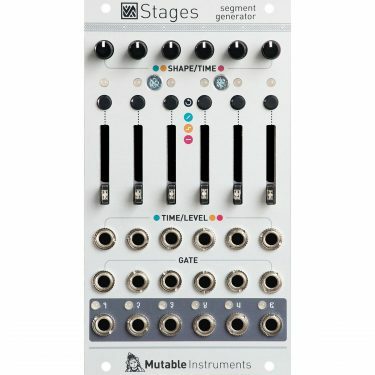 Stages, which is a sequence-able modulation source feels and acts like a 250E Function Generator in some regards. 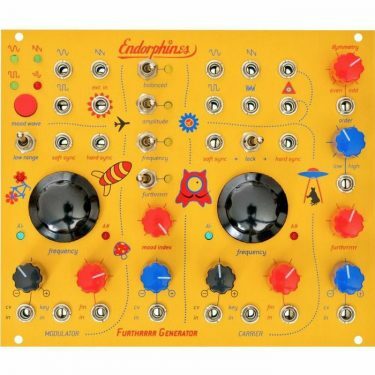 Endorpin.es, another quality Eurorack builder who has drawn constant inspiration from Buchla 200 series modular, best known for their Furthrrr Generator, a complex oscillator that oooozes west coast flair. Catalyst Audio, a small boutique manufacturer from the US build incredibly Eurorack format replicas of some of the Buchla 100 series. 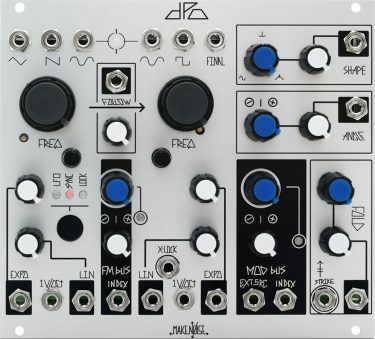 And the list goes on, but it’s not just Eurorack that’s drawing inspiration from Don’s inspiring circuits and synthesis concepts. 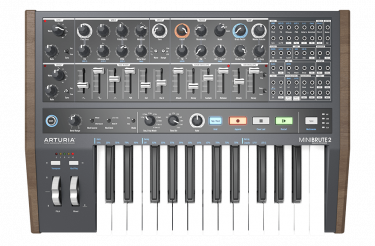 Arturia Minibrute 2, whist the synths main voicing architecture sits firmly in its subtractive ways, you might notice that it’s triangle wave has something called a metalizer..which acts and sounds just like the timbral control section of the Music Easel or a 261. 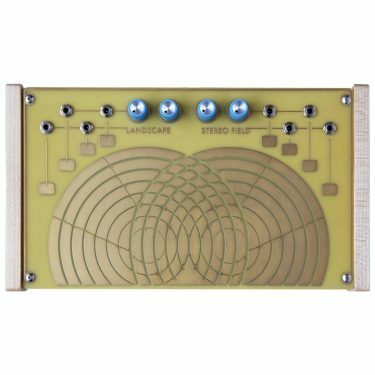 Landscape Stereo field, this little box of awesomeness even looks like a Buchla design! And whilst its architecture don’t really fit the additive format, without Don’s concepts of alternative controllers this thing could have ended up looking quite different. 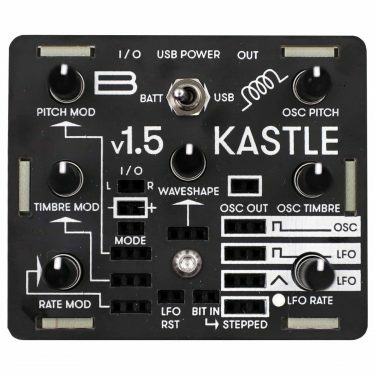 Bastl Instruments Kastle 1.5, these guys definitely tick the box for "far out designs" the Kastle 1.5 is a very complex additive synth with a cluster of interesting function generators and modulation capabilities. It's additive voicing tips it's hat to some of the more complex voices you can achieve with a Buchla system. The list of designs inspired by additive synthesis concepts is literally quite endless, these are just a few things that draw inspiration. Don’s experimental and unique mindset that has inspired people to go beyond what is considered the norm, who knows? Thankfully Don and Bob’s concepts permeated modern Synth designer’s mindsets and frankly I’m quite pleased they did.